Delhi Capital's defeated Kolkata Knight Riders in what was one of the most entertaining matches in the current campaign of the Indian Premier League with youngsters Prithvi Shaw and Rabada put up a stellar show. Young prodigies of world cricket, South Africa’s Kagiso Rabada and India’s Prithvi Shaw joined hands for Delhi Capitals to put up a stellar show in what was one of the most entertaining matches in the current campaign of the Indian Premier League (IPL). Chasing 186 to win, Delhi Capitals were set up nicely by Prithvi Shaw’s 99 off 55 balls but they could not score six runs from the last over, bowled by chinaman Kuldeep Yadav, who held his nerves to give KKR a chance to steal a win at the Feroz Shah Kotla in New Delhi on Saturday. The Capitals ended their run chase at 185 for 6 in 20 overs, taking the match to Super Over. The home side managed just 10 runs in the Super Over bowled by paceman Krishna Prasidh but Rabada executed yorkers perfectly to deny KKR. He removed dangerous Andre Russell with a perfectly placed yorker and did not allow other batsmen, including captain Dinesh Karthik, to free their arms. Pruthvi Shaw getting out on 99. 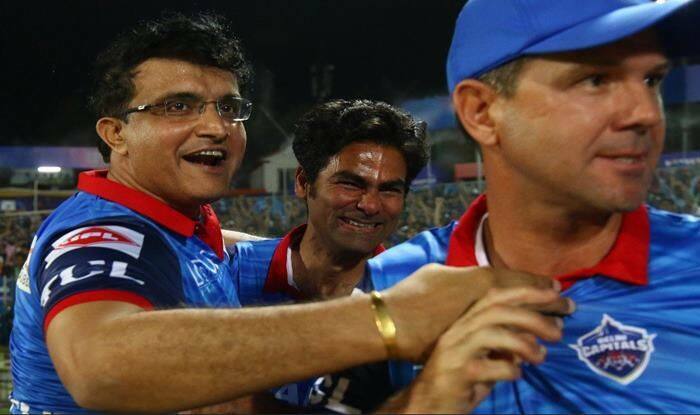 I always get a higher level satisfaction when (@SGanguly99) DADA’s team beat #KKHar. He was caught in the penultimate over, edging one off Lockei Ferguson while going for a big shot. Shaw shared an 89-run stand with his skipper Shreyas Iyer (43 off 32). Shaw’s six off Russell, a pull in the mid-wicket, was a treat to watch. He completed his fifty with a six and a four off chinaman Kuldeep Yadav, who was also taken to the cleaners by Iyer. Earlier, Russell smashed 62 off 28 balls and shared a crucial 95run stand with his skipper Dinesh Karthik (50 off 36 balls) for the sixth wicket. The home side dominated a large part of the innings after electing to bowl but Russell and Karthik seized the momentum with their fearless batting. The run out of young Shubman Gill only made it worse for the visiting side. The run flow improved dramatically with Russell going hammer and tongs. Lamichhane, who had given only 12 runs in his three overs, ended his quota with an expensive over with skipper Karthik and Russell creaming off 17 runs.